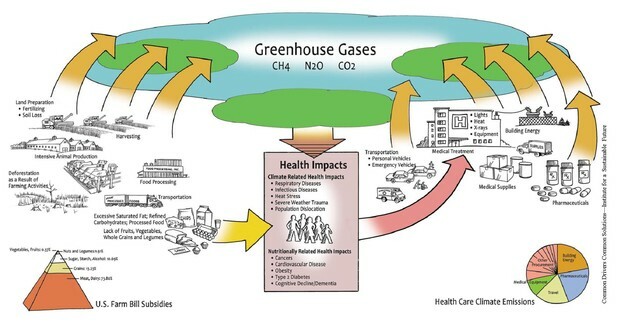 The food system represents just under one third of global climate emissions which is in turn, driving health impacts and healthcare treatment. This creates a vicious cycle. By refocusing our efforts to create place-based healthy food systems we can mitigate climate change and improve individual, community and planetary health. For more information see our publication Common Drivers Commons Solutions.